There are so many good things that can come out of playing an instrument – whether leisurely or professionally. Not only can it provide an outlet for creativity, but it can also help improve cognitive skills and teach discipline. Those benefits aside, however, some studies have shown that playing certain instruments – especially if they have been used before – can have negative effects on your dental and physical health. The benefits of playing an instrument show themselves in both cognitive and physical improvement. Many studies have been done to prove the health benefits of playing an instrument. Take a look at the list below. Decreases Heart Rate. Music has the unique ability to affect your heart rate. When you listen to quick and upbeat music, your heart rate can increase. Likewise, if you listen to slower and more relaxing music, your heart rate can decline. Playing music (rather than listening) can also help decrease your heart rate. Improves Comprehension Rate. 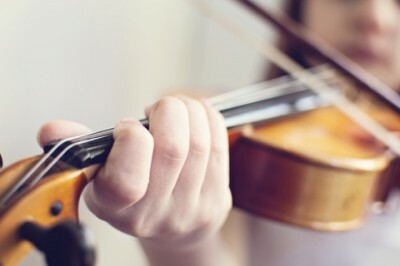 When a person learns to play music, they often have many things to keep up with at once, such as sight reading, breathing and rhythm patterns, and of course the execution of playing the instrument. Practicing each of these things can help improve and sharpen your mind. Reduces Stress and Depression. Music therapy helps take your mind off of something overwhelming to do something enjoyable! Take a look at the American Music Therapy Association for more details. For the most part, playing a musical instrument shouldn’t be harmful to your health. Some instruments may cause more damage than others. If you have a used instrument, it is incredibly important to note the risks. Take a look at the list below. Skin irritation can happen easily for people who play instruments. Depending on the material that the instrument is made out of and sensitiveness of your skin, you may or may not experience skin irritation. A skin infection might develop around the mouth and lips if you play a used instrument. Bacterias can grow if a used instrument goes unsanitized. For this reason, it is important for your children to refrain from sharing your wind instrument with others. For musicians, muscle cramping often happens in the hand and is caused by overuse. This is a condition that is much more likely to happen in professional musicians than beginners. To read about Musician’s Cramp more, check out this article. When a wind instrument is played, a musician must do what is called an embouchure. An embouchure is the use of lips and facial muscles to apply pressure to the mouthpiece in a way that will successfully transfer air. Sometimes this requires a lot of pressure, and if too much is applied, it can cause minor cuts on the gums from teeth. Wind instruments require a great deal of breath support and control. Sometimes musicians find that their mouths are unusually dry which can be both uncomfortable and unhealthy. A tooth cusp is the biting surface of the posterior teeth and canines. As mentioned before, the pressure needed to do a proper embouchure can cause slight fracturing in the cusps of some teeth. If hard pressure is put on your teeth for a long amount of time, they can begin to shift. A great example of this is when someone gets braces at the orthodontist. But it can also happen if you play a wind instrument regularly. An embouchure can cause certain teeth to shift. 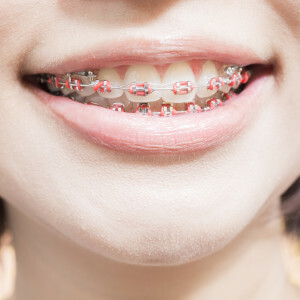 If you have braces and play a woodwind or brass instrument, you may get ulcers or canker sores from the metal irritation. Try talking to your dentist or orthodontist about using wax to guard your gums from the braces. Musicians often tilt their head while playing, which can cause soreness in the neck if the position is held for a long amount of time. If your shoulders are in pain, it is most likely from the position you are playing in. Try to adjust your positioning to relieve any pain. Doing stretches or warm-ups before playing may also help. TMJ (temporomandibular joint dysfunction) can be caused by woodwind or brass instrument players. For the most part, this will depend on how you are holding and playing your instrument, as well as how long you are playing. If you are just practicing, don’t spend longer than 3 hours playing in order to avoid TMJ. We want to encourage musicians who use their talents either as a hobby or as a profession! It is important to keep these health conditions in mind as you continue to play. Do you play an instrument regularly? If so, what are some tips you have to stay healthy? We’d love to hear your thoughts in the comment box below.